I came across this awesome DIY project on Apartment Therapy the other day, and I am considering testing it out (not sure what room yet though). I love how simple the stencil pattern is, yet it produces a pretty eye catching result! What do you think? Would you make these for your own home? Get the tutorial for the project HERE! This does look like it would take up quite a bit of time, but I love how it looks! It is quite eye-catching! It looks time-consuming, but the result is beautiful! 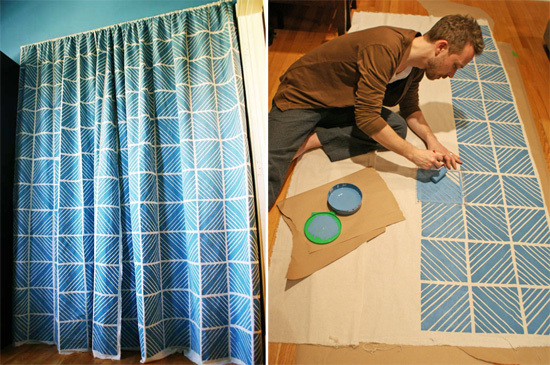 I've been thinking about trying to stencil a rug for awhile, but I like this idea too - thanks for sharing!